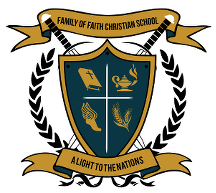 Our school was founded in 1985 to provide a place of training and preparation for the equipping of young people to take the ministry of Jesus to the ends of the earth. They may go as preachers, missionaries, teachers, businessmen, or in numerous other professions, but they will have the vision and commitment for the world. FOFCS provides a family style environment for approximately 100 students in Pre-K through 12th grade. Our loving staff provides students with rigorous academic standards, strong spiritual training, and more individual attention in an atmosphere marked with the love and presence of God. We are looking for parents and students who are committed to the vision and commandment of Jesus to see that every creature has an experience with the Gospel of Jesus Christ.